Next year, Wales gets the chance to have a new government. What would you like the politicians to campaign for in the run-up to May’s elections? A group of food researchers are working on a manifesto that will tell them what sort of food system the people of Wales want to see in future, and we would like to hear what you care about. Food touches every area of our lives. Take food waste, for instance. UK supermarkets run on a system where in order to keep the shelves fully stocked with fresh food, a high proportion of perfectly good food is routinely thrown away. Action is being taken by the likes of FareShare Cymru to distribute the surplus food, but maybe it’s time for more drastic action. In France, supermarkets are obliged to give their unsold food to charities or for animal feed, and are banned from throwing it away. Should we try that here? Most of us waste at least some food at home, too. Maybe we bought too much. The government cannot do much about that, but how about more cookery lessons in schools and in the community to encourage people to prepare healthy meals, and to rediscover the pleasures of eating together? There is increasing interest in growing our own food, too. But in Wales there are very few skilled horticulturists, and we end up importing most of our fruit and vegetables, even those which could easily be grown here. This is a complex problem, one worth tackling by government. Welsh agriculture is central to the food system of course, and it’s important to sort out our policy on land use. Do we farm for export markets, or for home consumption, or a bit of both? What do we want our farmland to do? Grow food, encourage wildlife, prevent flooding, look beautiful and attract tourists? Government policy has a major role to play here, through subsidies and other forms of support. Government can also affect markets, for instance by requiring local authorities and other public sector organisations to make it easier for Welsh food businesses to supply schools, hospitals, prisons and so on. 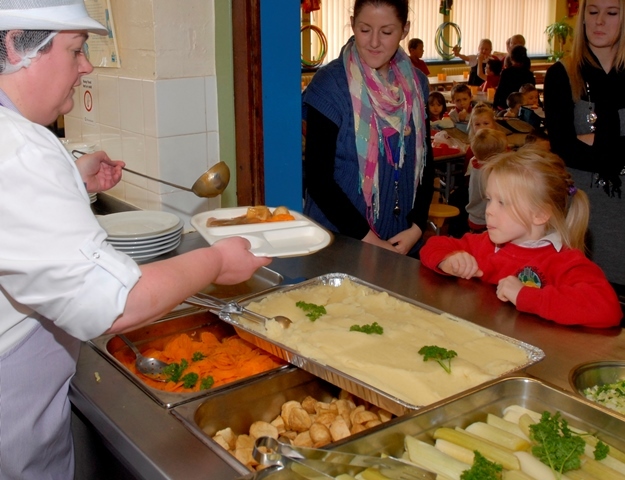 More local food in school meals? It might cost a bit more than imported food, but then it also gives farming a boost. Which do we want to see? And then there’s the question of food banks. Last year’s All Party Parliamentary Inquiry report, Feeding Britain, found that more and more people are turning to emergency food aid: wages are low, social networks are weak and the food system is no longer resilient enough. What are we going to do about that? Partly it’s a problem of poverty, and partly it’s about the food system itself, which delivers high quality fresh food to some, while others live in “food deserts” where it is hard to find fresh produce, and shops stock highly processed, fat- and sugar-laden products. Fundamentally, it is a question of how we value our food, and that comes down to how we see our society and the environment. In a recent research study led by Aberystwyth University, we shared meals with refugees in Cardiff and pensioners in Gwynedd, as well as schoolchildren, students, organic farmers and many others. They all discussed how food connects them with family and friends, and how they wanted to see the best quality food available to everyone. They wanted to see food skills being passed down the generations. They thought it mattered where food comes from – that it shouldn’t be an anonymous commodity, and that the person who grew it got a fair price. Our food system doesn’t quite work like that at the moment, but it could. It’s time to ask for change from our government, and it’s time to make changes ourselves. Start growing in your back garden. Join a community garden. Seek out food in the shops that fits with your values – animal welfare, local, organic, as it may be – and be prepared to pay a little more for it. Find another way altogether of buying it, perhaps through a veg co-op or farmers market. Try out a new recipe and visit a food festival this autumn. Organize a community meal at your church, mosque, school or workplace. Donate some high quality food to your nearest food bank. And write in to the Food Manifesto. It’s at http://foodmanifesto.wales and http://maniffestobwyd.cymru. Brexit, a new start for Welsh food and farming? Welsh farming and food policy after Brexit – what is food really for?